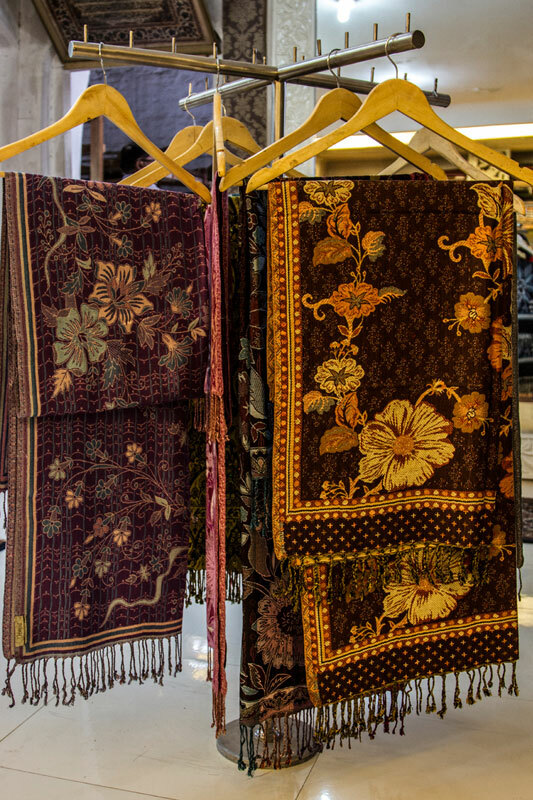 Himroo shawls weaved with floral design. 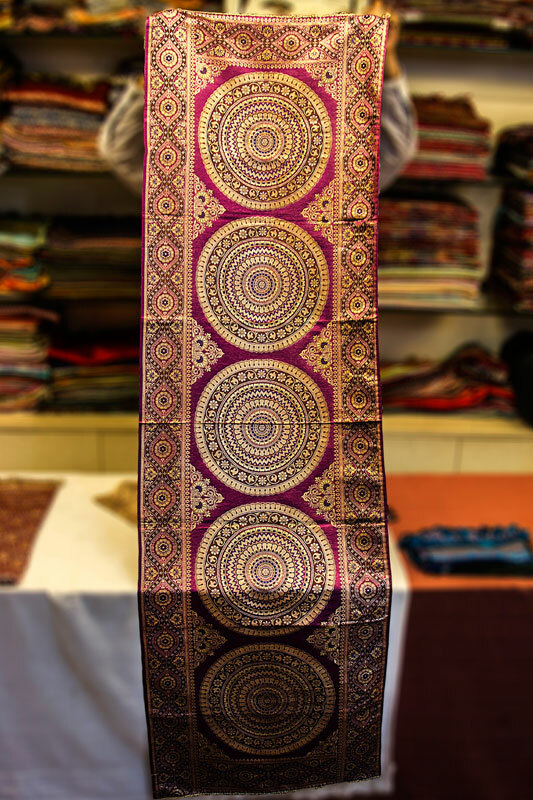 Himroo products are weaved with bright color threads giving it a royal look. Leftover threads are knotted to create fringes. 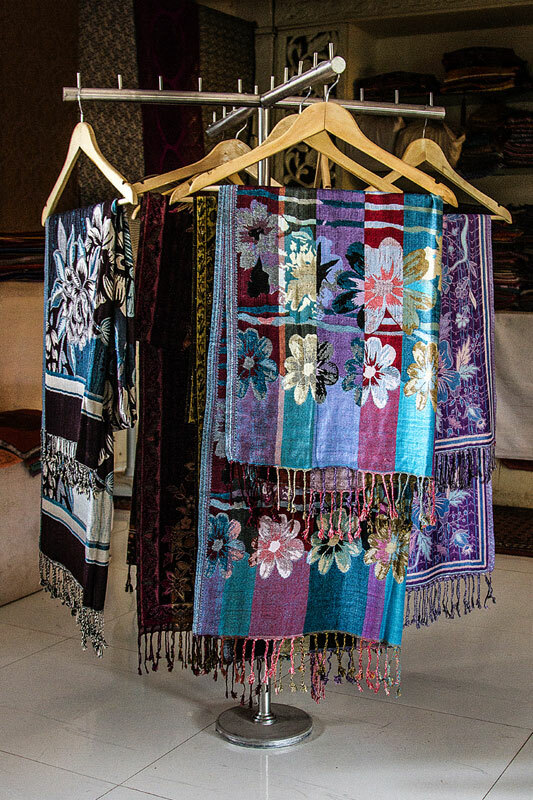 Himroo shawls displayed for sale. 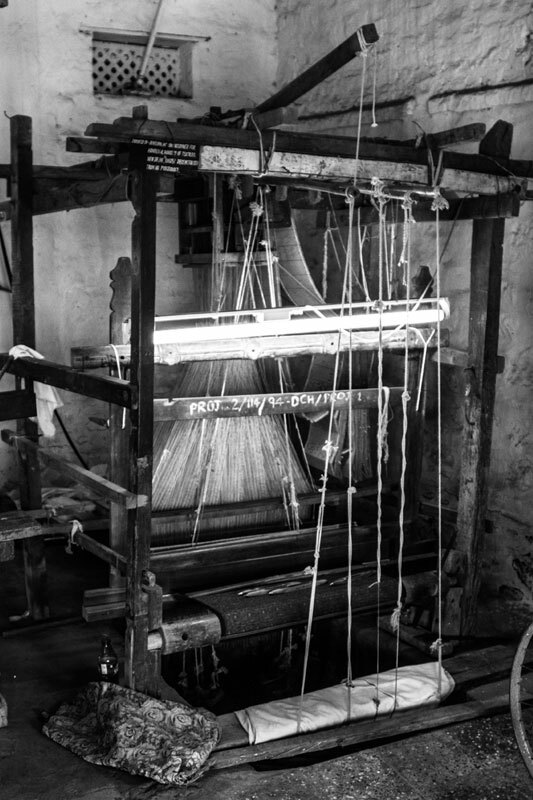 Traditional Loom is used for weaving Himroo. 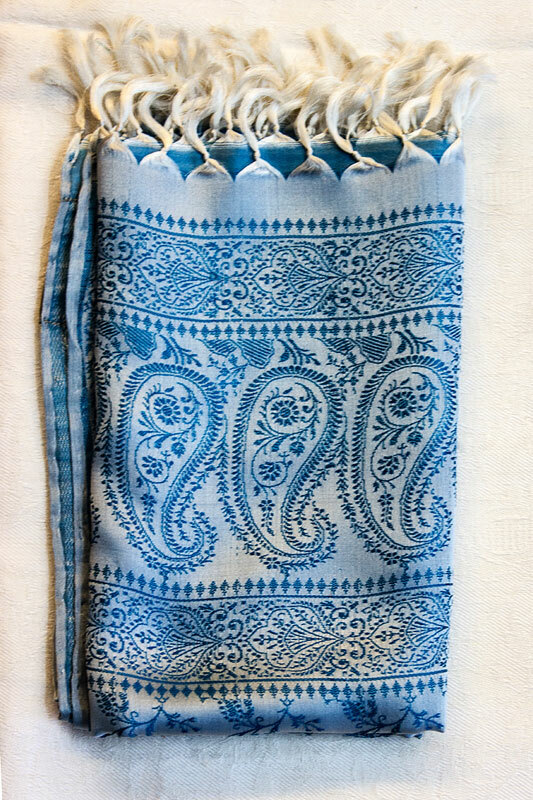 Himroo shawl weaved with floral patterns. Two meter himroo shawl weaved with green and purple shade. 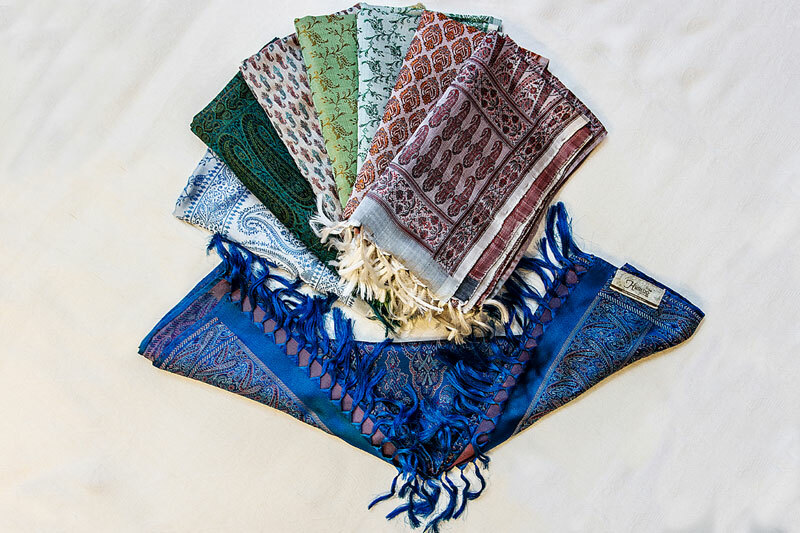 Himroo products weaved in various colors and designs. 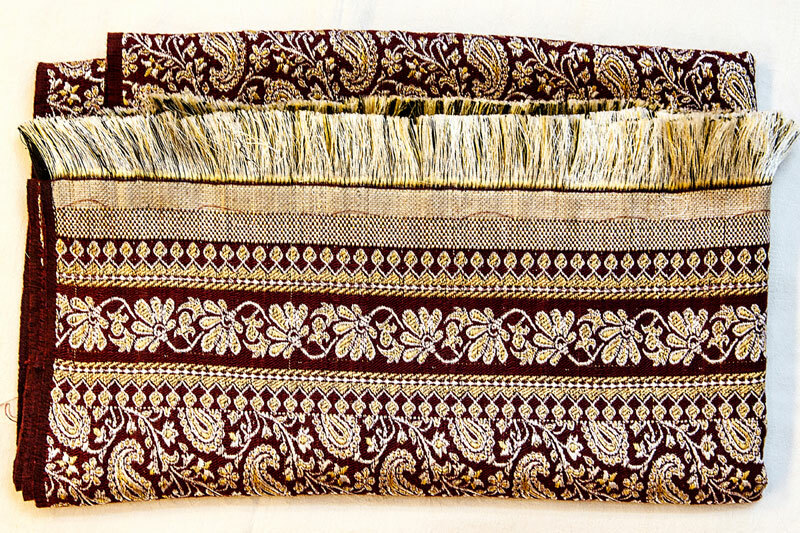 Himroo bed spread weaved with mango design. 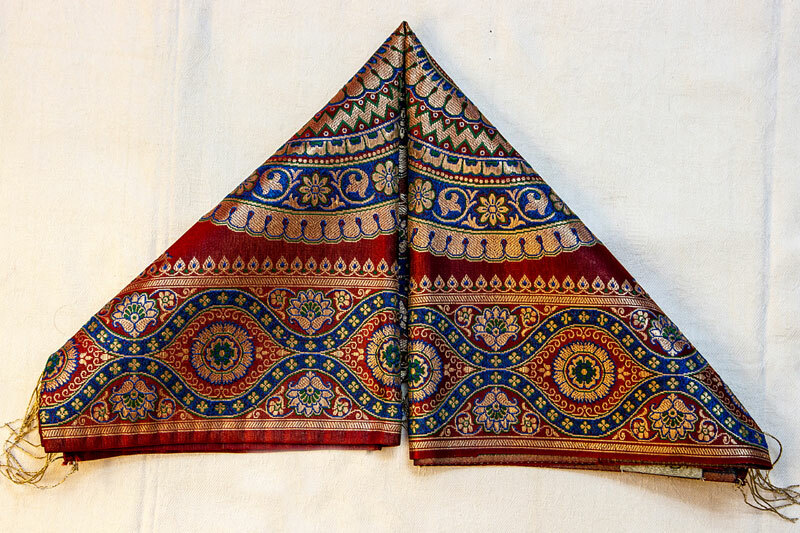 Maroon color shawl weaved with mango and floral design with zari thread. Red, black yellow, golden and green colors are basic used shades to weave himroo. 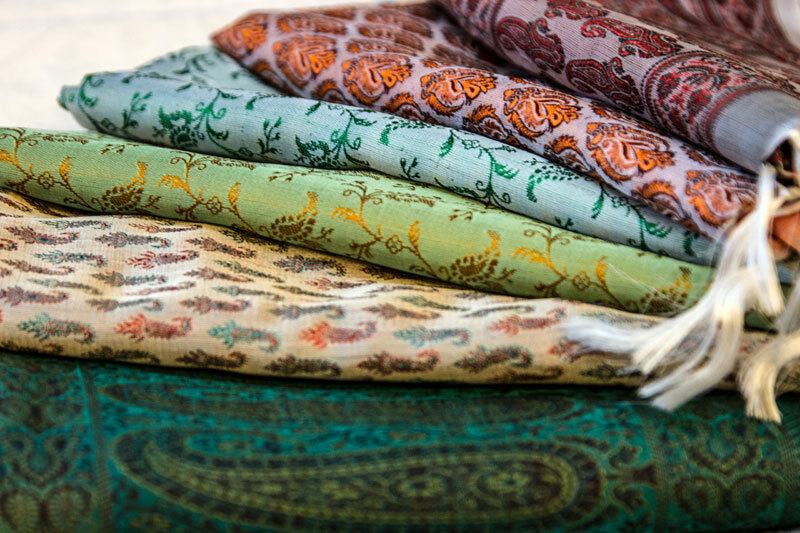 Himroo word is originated from Persia, woven with pure gold and silver threads for royal families earlier. 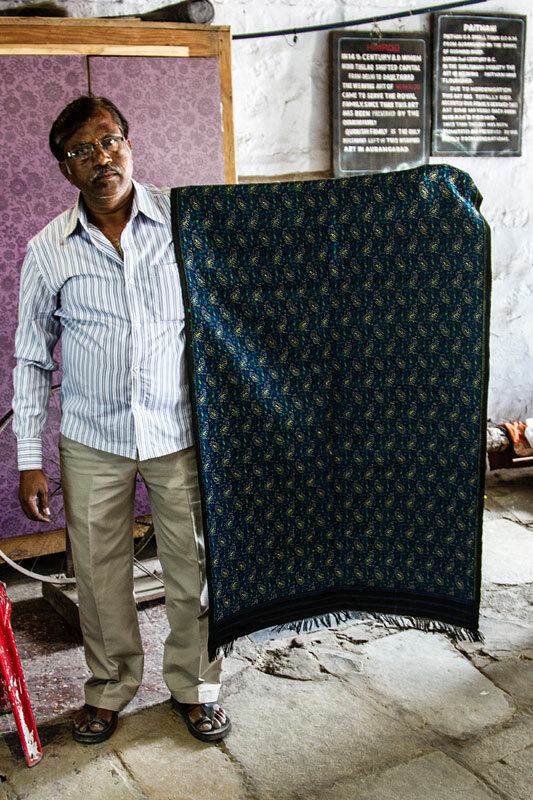 Many weavers settled in Daulatabad near Aurangabad from Delhi when king Mohammad Bin Tughlaq shifted the capital and encouraged himroo craft. It is said that Aurangabad city was founded by Malik Ambar and during his reign people were fascinated to settle down in this place. 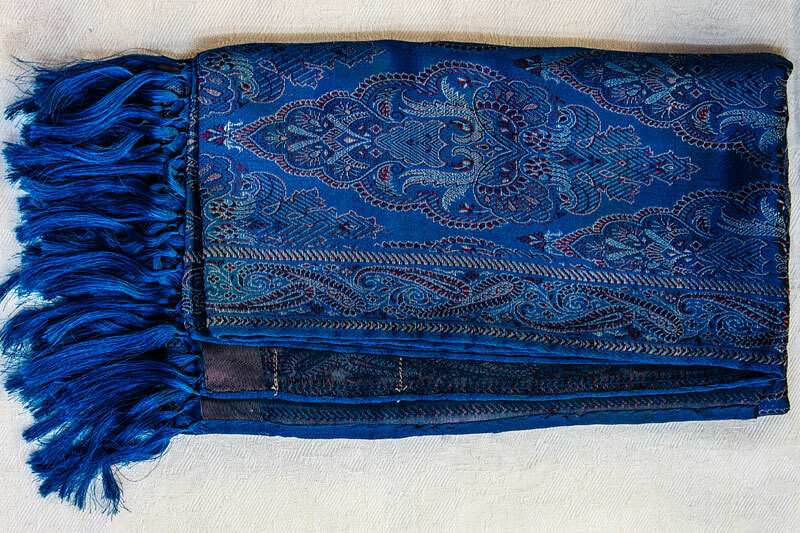 Shawls preferred in olden days were himroo that used to cover the body. Mostly affordable by the Mughal rulers and Britishers made from pure cotton and silk. 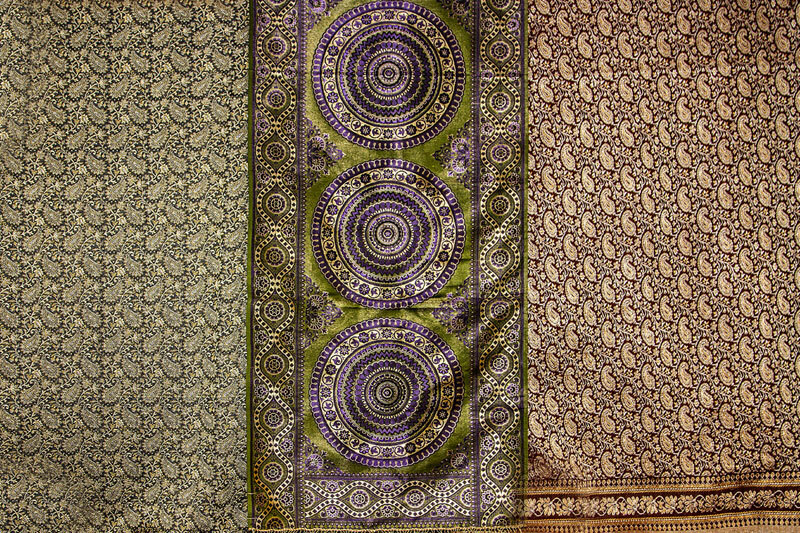 The famous designs among the himroo products are Ajanta design which is inspired by the Ajanta Ellora caves and also it is the traditional design of Aurangabad. Some of the other designs are Guldastha design, Ahmedavadi whale, Batha whale, Thotha mina, Tari, Kasthi, Chidiya, floral (pasley design), Choate carri are some of the other designs.